Ken Kutaragi is to step down from his role as chairman and CEO of Sony Computer Entertainment, Inc (SCEI). He will be succeed by current president Kaz Hirai on 19 June. Kutaragi won't be leaving Sony though. Instead he will become honorary chairman of SCEI, and act as future technology adviser to Sony's chairman and CEO Sir Howard Stringer. 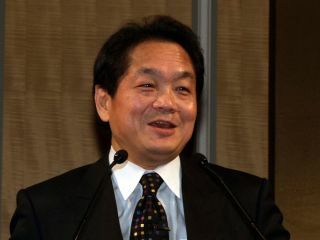 Kutaragi is known as the 'Father of the PlayStation ', having developed the original games console in 1994 and its successor - the PlayStation 2 - in 2000. He was also instrumental in the development and launch of the PlayStation 3. Commenting on his current and future roles at Sony, Ken Kutaragi said: "It has been an exciting experience to change the world of computer entertainment by marrying cutting edge technologies with creative minds from all over the world. I'm looking forward to building on this vision in my next endeavours."